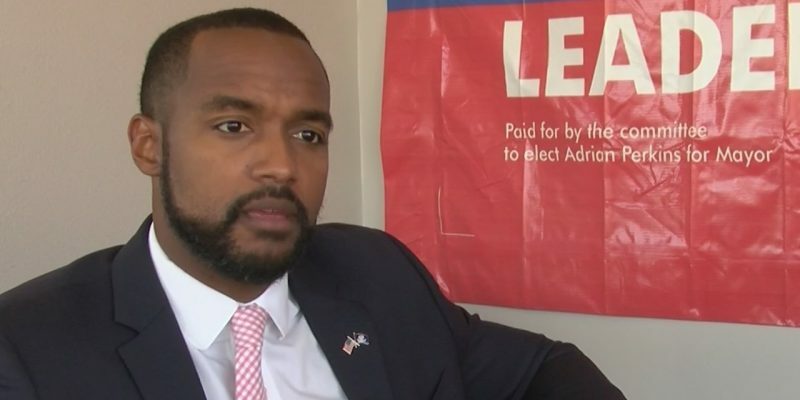 It seems Shreveport Mayor Adrian Perkins can’t win. People he doesn’t want to keep on city policy-making panels criticize him for that, and another faults his appointee for a job change that allegedly endangers that person’s tenure on a city board. Recently, Perkins has caught flak from commissioners of the Shreveport Airport Authority over his handling of a new director of airports. Sec. 18-32 of the city ordinances mandates that the panel of five nominate a director “for appointment by the mayor,” who then would need City Council confirmation. The Perkins Administration forged ahead with the process, selecting three candidates without Authority input. Three members – all of whom publicly supported former Mayor Ollie Tyler who Perkins defeated and all three of whom he has said he will replace – objected to the ordering, and mused whether Perkins’ plan to oust them had something to do with the director hiring. Both the charter and ordinances are silent on the ordering of the process, so it appears that the Authority doesn’t have to do the search itself. But it does have to approve, and the three commissioners could band together to defeat candidates it didn’t vet, which would make it in Perkins’ interest to remove the trio. Ultimately, Atty. Gen. Jeff Landry may have to sort all of this out by issuing an opinion requested by the aggrieved commissioners, given the ambiguity. However, on another matter the Perkins Administration seems to be on more solid ground. Named last month by Perkins as provisional police chief, Ben Raymond recently reassigned patrolman Sgt. Michael Carter to work in the department’s human resources area. Carter also serves as head of the local union, the Police Officer’s Association, and sits on the state-authorized Shreveport Municipal Fire and Police Civil Service Board, which regulates personnel practices within both of those city agencies. His panel duty has Carter crying foul. He claims if working in his new position many of the cases the Board would adjudicate would involve him so deeply that he would have to recuse himself from votes, essentially neutering his participation. Also, he asserted that his Board duties could put him in a position to disobey superiors’ commands as part of his job. He claimed he would have to resign, and called for the board to reverse his transfer because it smacked of discrimination as part of a power play against him. That represents an interesting turnaround, for the union with Carter’s blessing endorsed Perkins last fall. At the same meeting, the board also denied Carter’s request to reverse Raymond’s updated status. Carter gained board status as one of his department’s two elected representatives. They serve three years term by state law, but that statute does not address issues such as recusal for votes although sets a quorum at five of nine members. While he appealed the decisions into the judicial system, Carter doesn’t have much of a case. The body still can conduct business with him and his input, and it has plenty of votes to spare to reach quorums even if he recuses himself. Any conflicts between doing his new job and board service don’t seem apparent, whether he serves on the board or whether he recuses himself from votes. Impropriety in a superior’s action in the civil service comes from arbitrary and capricious actions, yet Raymond has a legitimate purpose in shifting Carter because of inconsistencies in the department’s handling of personnel disputes and Carter’s background in that area (he has an advanced degree in organizational psychology). Carter has maintained the department should contract with his consulting business on training matters, but why should the city spend extra taxpayer dollars for something that it can do in-house? Regardless of the ultimate outcomes to these incidents, they show that Perkins isn’t afraid to have his administration shake up the existing city political system. Next Article Does Anybody Actually Believe Karen Carter Peterson’s Story?